This is a great way to get away from the heat of the city and enjoy the relative cool air of the river as you sail along the historic Singapore River. Whenever you travel along with kids, It is a joyful riding for children to explore the river by boat. This boat will bring us to explore the malls, attractions and museums along the river banks during the day and revisit the river in the night for a different feel. The boat goes slowly enough to enjoy the many sights of the city of Singapore. A feature modern-and silent- electric boat is powered by batteries and therefore had no smelly exhaust . There is a live commentary on board that we can learn about the colonial times of Singapore and also present-day Singapore. The information provided is light, easily digestible and interesting, but don't expect to get a deep dive into the history of the river. The boat itself will cruise on every 25 minutes. It take the 60 minute round-trip cruise, you can hop-on and off River Cruise and explore the various sections along the river as it doubles as a transportation system that allows you to back track and revisit some of the favorite sites and malls. Clarke Quay - One of the city's trendiest nightspots with a variety of restaurants, wine bars, entertainment spots and retail outlets. Boat Quay - Situated along the Singapore River and distinguished by conserved shop houses, Boat Quay is the place to visit for entertainment & dining. 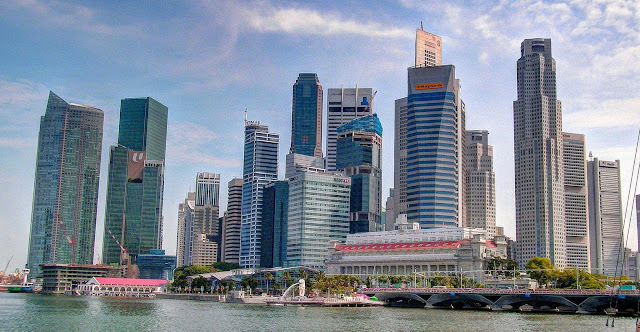 Esplanade - Theatres on the Bay - Check out this architectural icon with its distinctive twin shells, which houses world-class performance spaces. Singapore Flyer - Feast your eyes on Singapore's magnificent cityscape from a height of 165m on the world's largest observation wheel. Merlion Park - Be sure to have your cameras ready as we cruise by the Merlion Park - home to Singapore's tourism icon, the Merlion. Take MRT and alight at Clarke Quay MRT Station. The station is located on the opposite side of the Singapore River where Clarke Quay is actually situated. The bonus of touring at the night time is that you’ll be able to see the laser light show over the Marina Bay. Alight at at Esplande, there are some beautiful spots to take photos. Great places to visit. A lot of pleasures here to spent you leisure here for surprise. I watched this Singapore River in a Singapore travel documntry video in a channel first. I read about this River in a forum all tourist who are visiting Singapore they must take this ride. I know way that writer said that. Singapore River is really have beautiful location and fun for their visitors. Nice blog friend. Thanks for your nice sharing. Your blog is very informative for all visitors. I am a tourist and I am just come back from my niagara falls bus tour. It is a nice tour in my life. 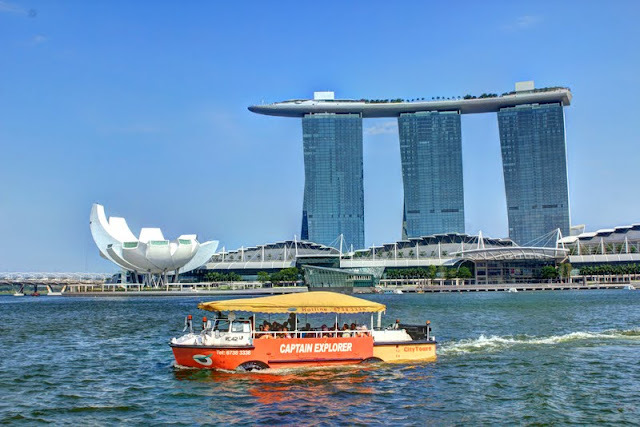 Nice tour and capturing.I,m a tourist and explore 6 countries yet.But not travel Singapore.I love your blog because that place and information i have never seen before on any blog.But now i familiar with it and very nice work done by the admin.I would like to travel to Singapore in these vacation to enjoy myself. How does the Hong Kong Peak Tram climb? Why the Hong Kong tram is called DingDing ?